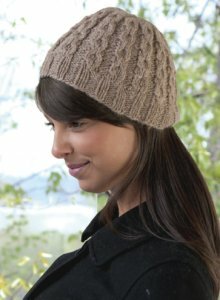 : This lovely cabled hat will knit up in a blink of an eye! The design is free from the Cascade website here. Size US 8-16" circulars, US 9-16" circulars, and US 9 DPNs are required but not included. Finished Measurements: Should fit almost all women but pattern includes instructions to fit man's and child's head. Finished Gauge: 9 sts = 2".